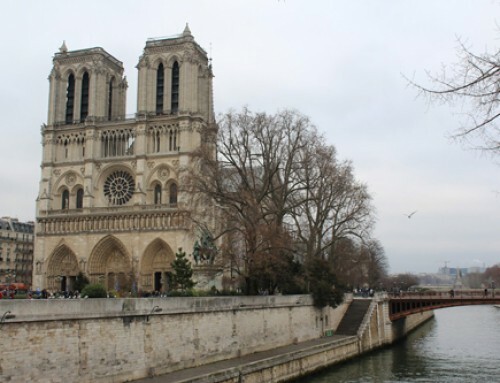 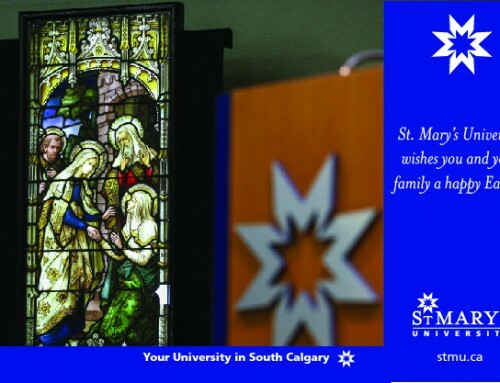 On the evening of Saturday, Mar. 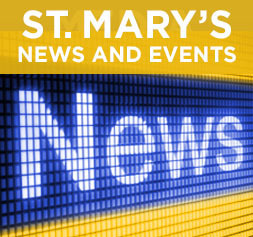 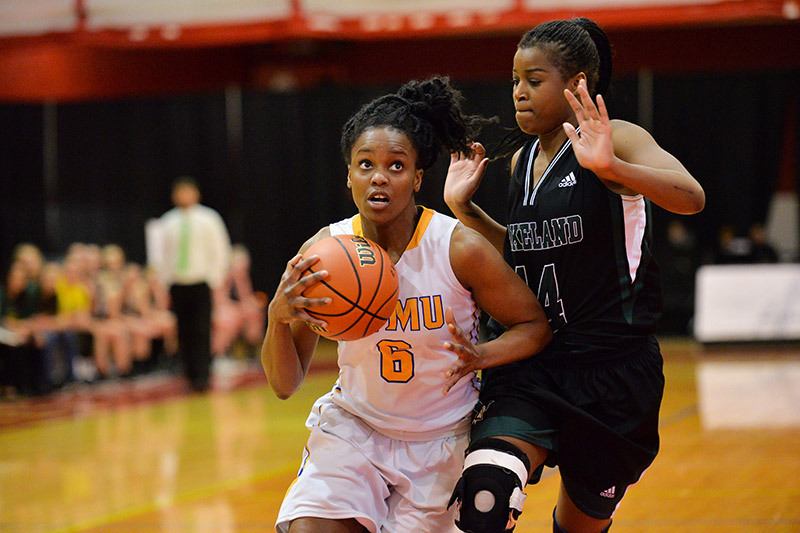 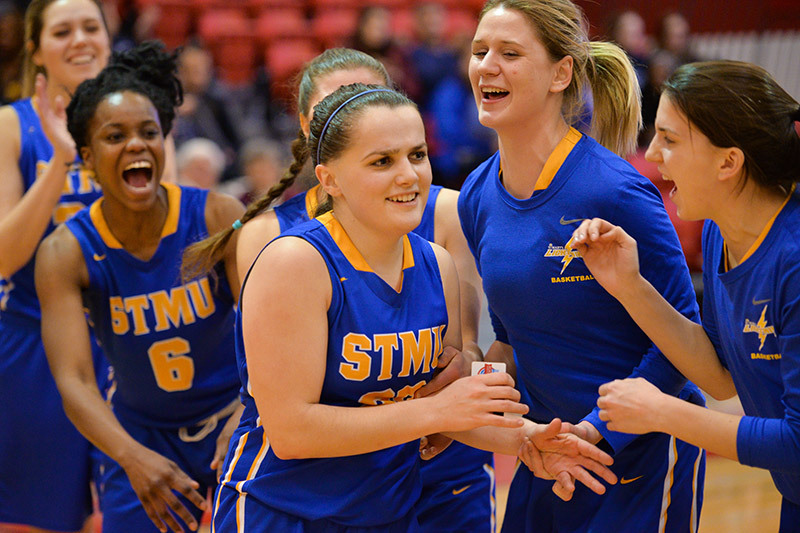 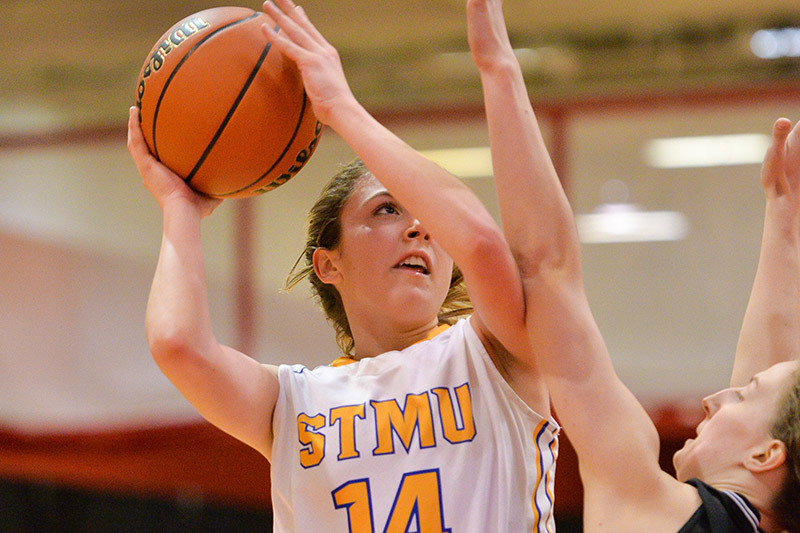 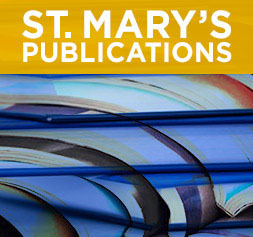 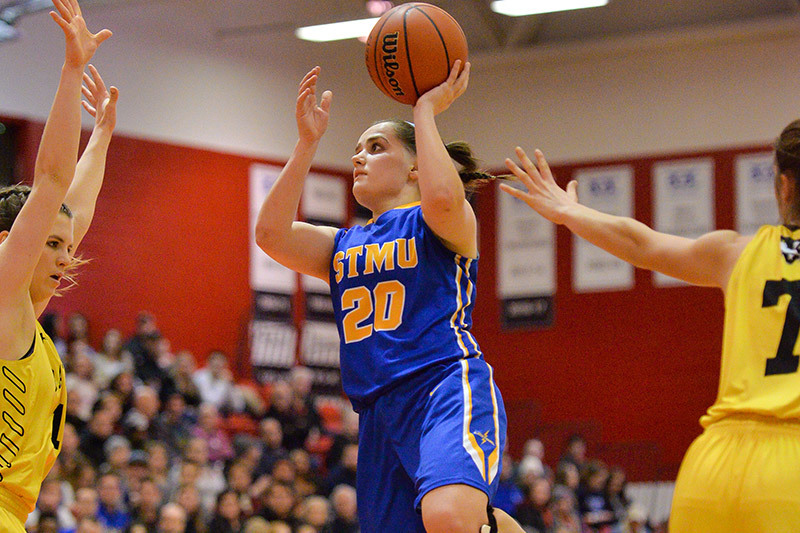 3 the St. Mary’s Lighting Women’s Basketball team achieved a feat that many outside of the institution may have thought impossible. 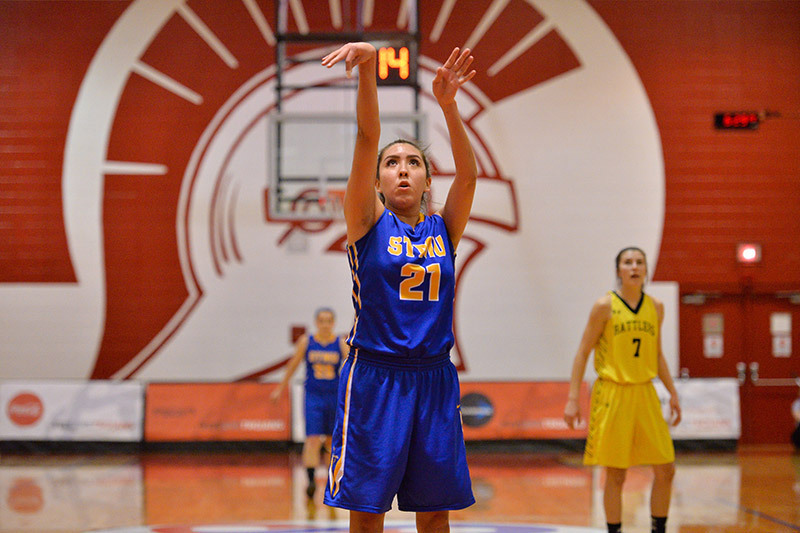 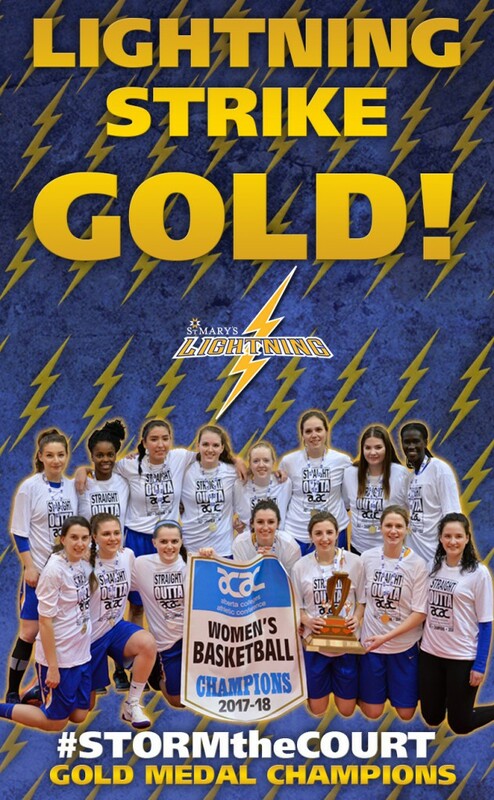 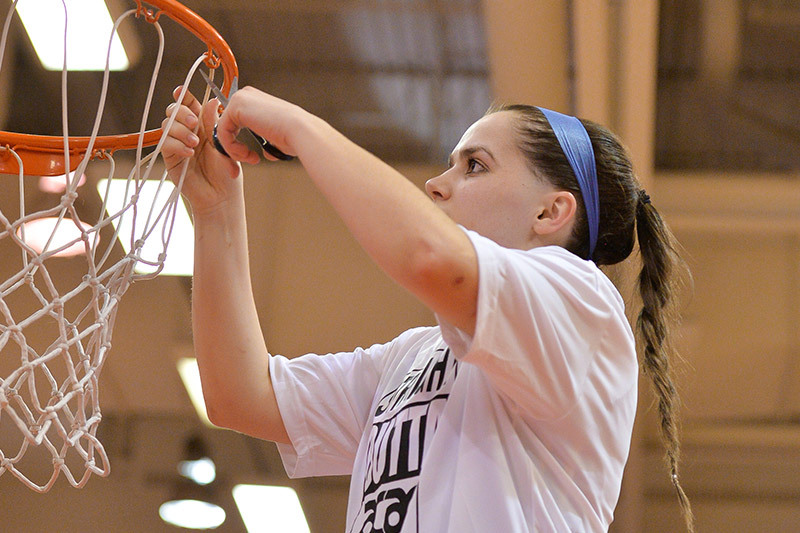 The Lightning Women’s team won the Gold Medal in the Alberta Colleges Athletic Conference Championships. 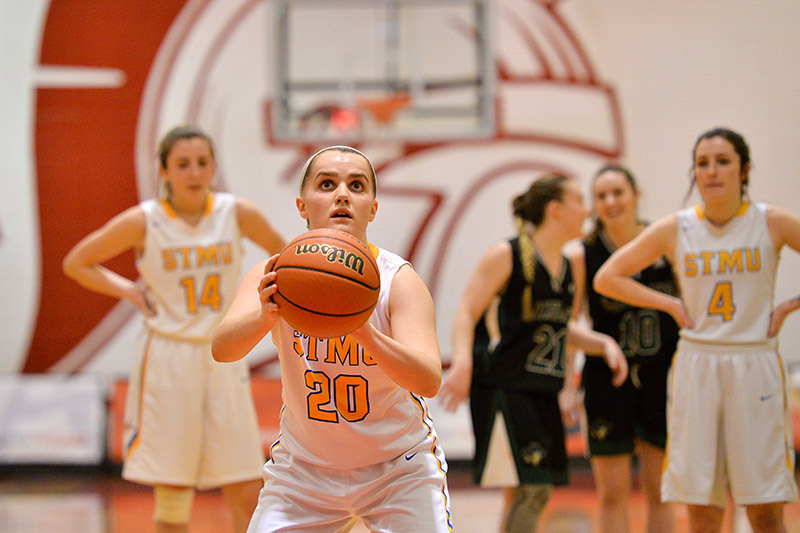 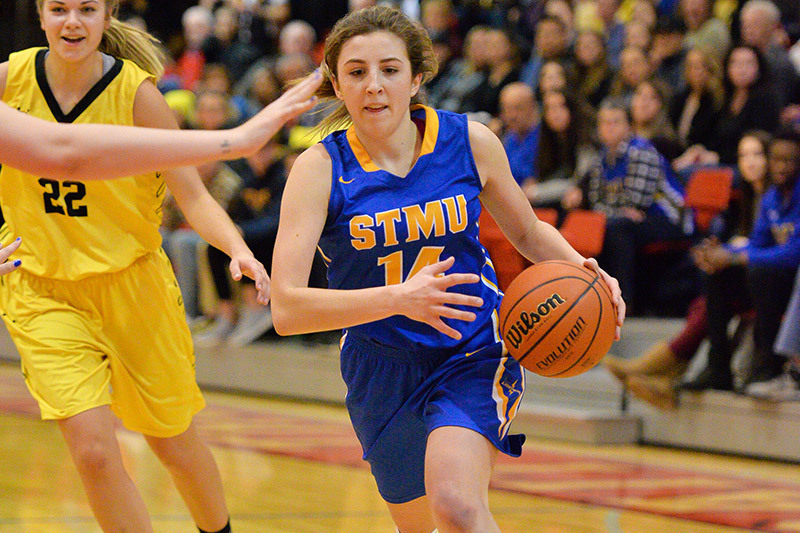 In what could be viewed as a tale of David vs. Goliath, the plucky team from St. Mary’s defied all of the odds and emerged victorious for the first Championship in school history. 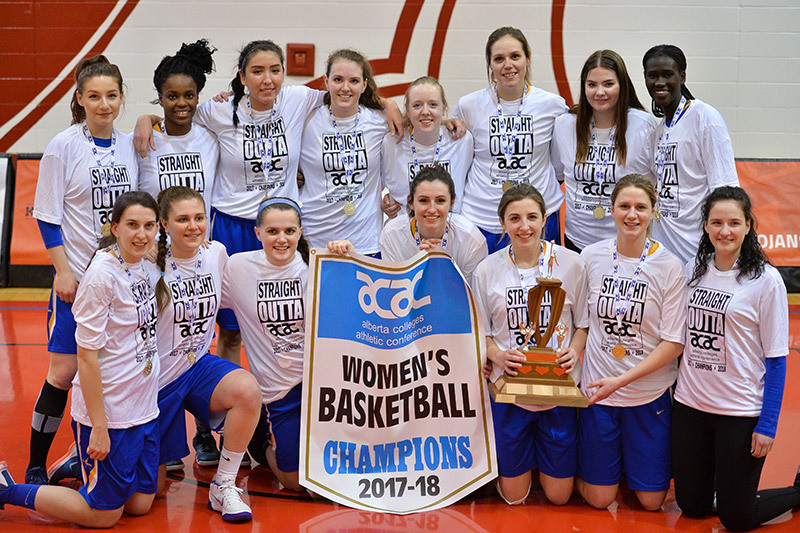 This is a historic and ground breaking result as St. Mary’s University is the newest, but also the smallest participant in the ACAC conference. 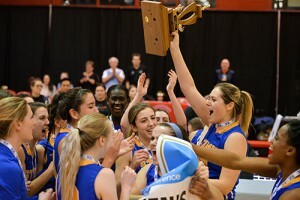 It is the least funded school and the one of the only universities or colleges in Canada that does not have its own gym. 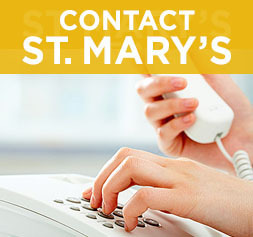 St. Mary’s is the only ACAC team that leaves campus for home games. 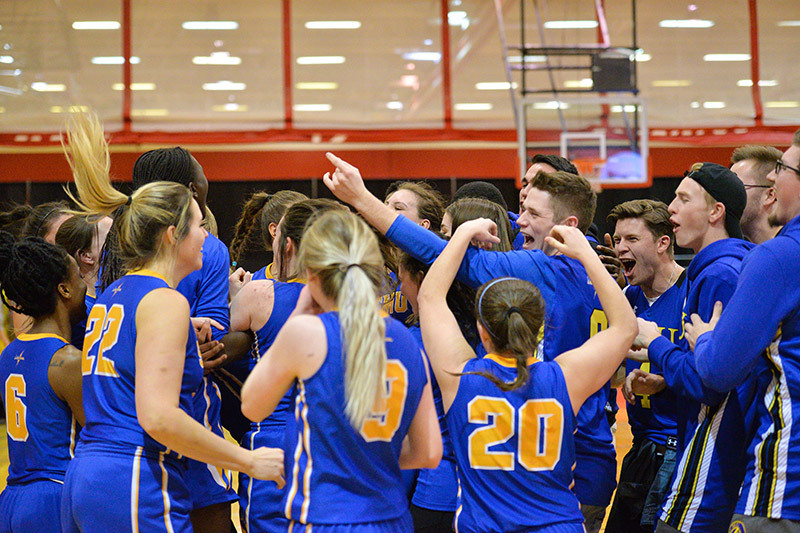 For Lightning Athletics Manager Nathan Ruff, this victory symbolizes the spirit and determination that embodies, not only the student-athletes at St. Mary’s, but the entire St. Mary’s community. 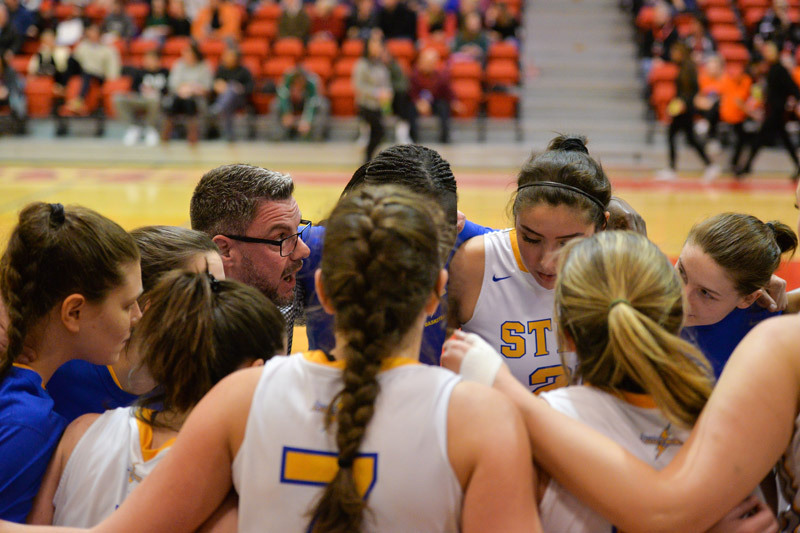 Lighting Women’s Head Coach Steve Shoults acknowledges that his team may be viewed as underdogs by those outside of the St. Mary’s community but believes that the only adversities the team faces are ones that they create for themselves. 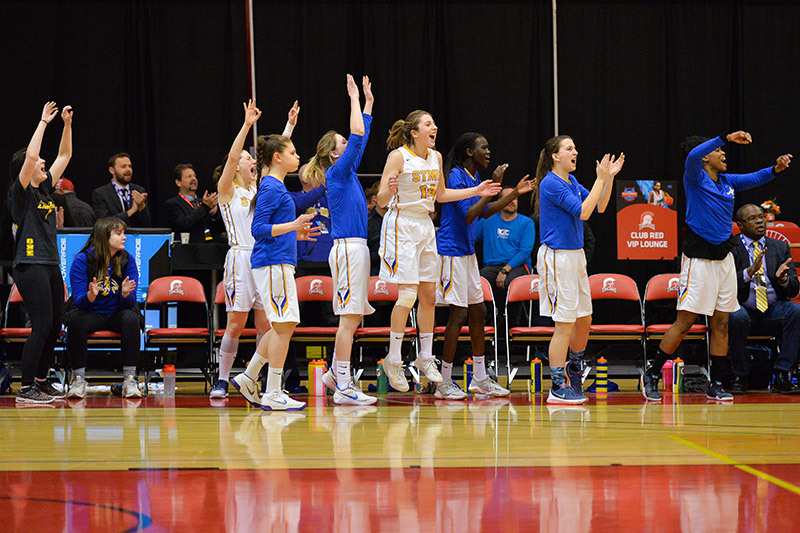 This gold medal is the culmination of a journey that began four years ago when Shoults joined the program. 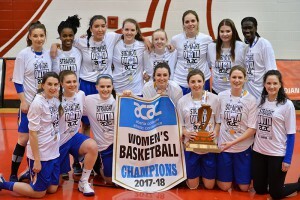 The championship team features four players from four years ago who joined at the same time as Shoults and helped plant the seeds of success in those early days. 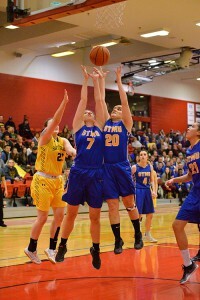 “There are four players and two coaches (including myself) still here from four years ago when we all joined the program. 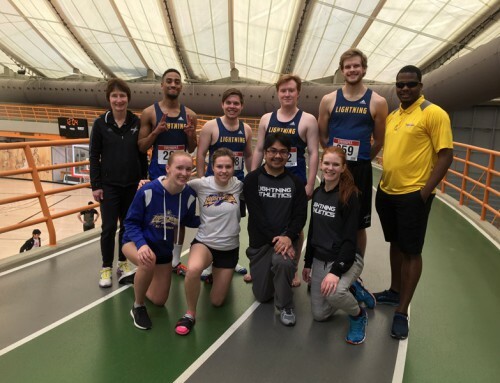 As a coach walking into a program with very little expectation, I was confident that we were beginning a journey as a winning program,” said Shoults. 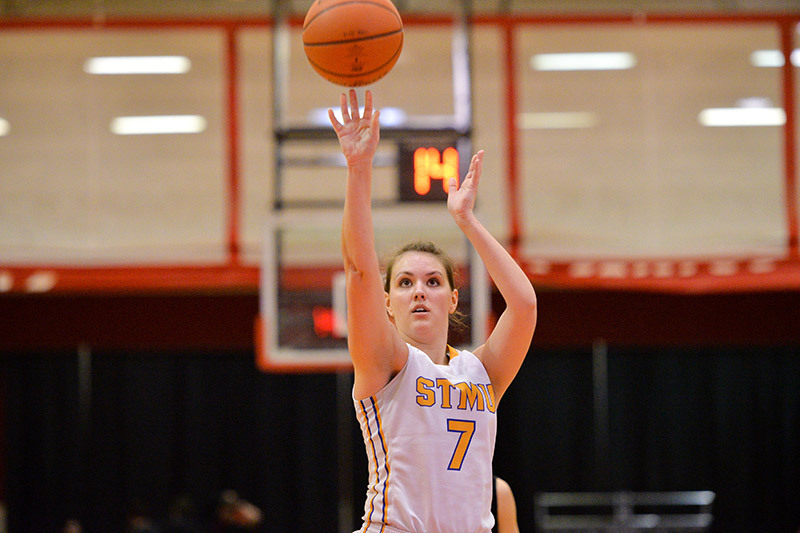 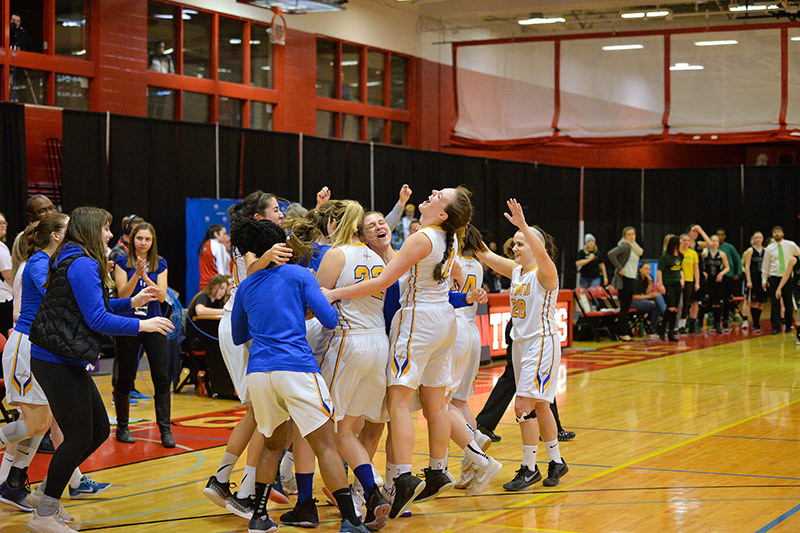 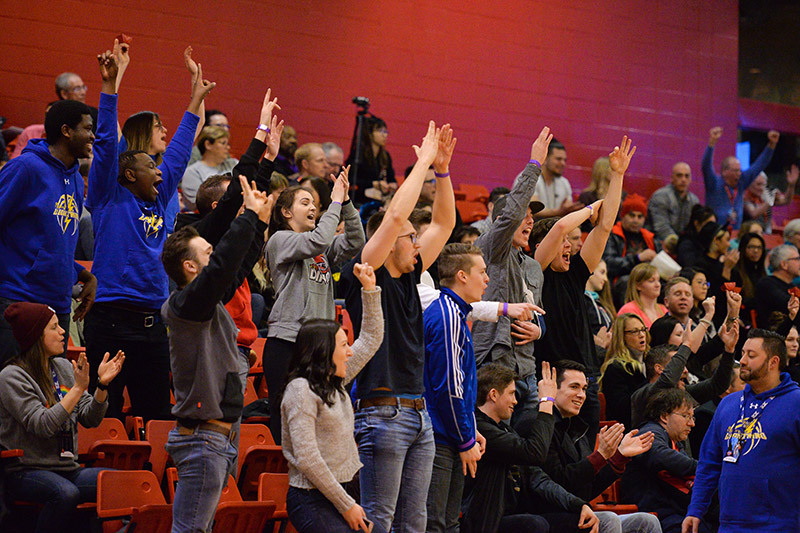 The Lightning Women’s team will now travel to Sackville, NB to compete in the Canadian Collegiate Athletics Association (CCAA) National Championships, which will mark their second trip to the National tournament and first as ACAC Champions.